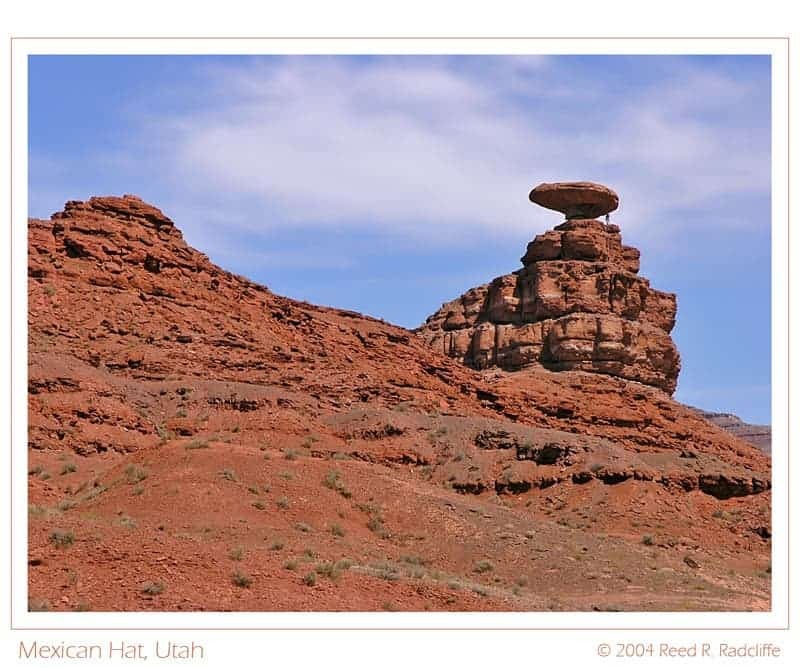 The Mexican hat is a rock formation in south-central San Juan County, Utah, United States. Interestingly, it’s the name of a mini-village (named after the formation), with 31 people inhabiting it. 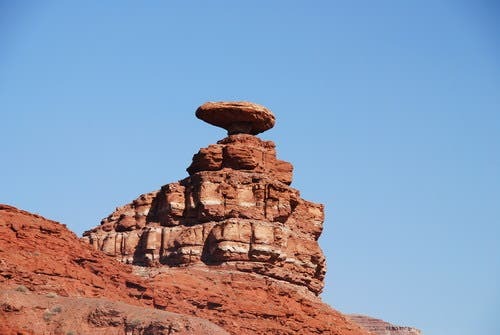 The formation is a 60-foot (18 m) wide by 12-foot (3.7 m) thick, rock outcropping on the northeast edge of town which can be climbed to via two different routes.